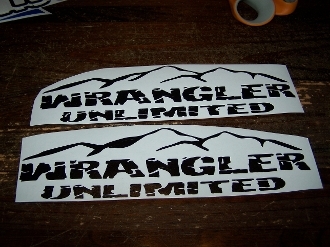 JEEP WRANGLER UNLIMITED FENDER DECAL STICKER SET OF 2. This vinyl decal is 2.75" high X 10" long. YOU GET 2 DECALS.